Happy New Year to everyone! I have been incredibly busy of late, project- and yard-managing, coaching and riding, though sadly no competing yet. But this leads me to the theme of my blog which is how to get the best out of winter and be a happier rider during the daily winter grind, because — let’s face it —winter can be grim. I’ve read loads of articles recently about surviving winter but surely as riders in 2018, we have the and kit to do more than just survive? As I write, I am looking out the window watching three large diggers clearing the site for the new Dalways Bawn indoor riding arena… while this is wonderful and at the same time pushing my management skills to their limit, I have made it to the age of 40 without it so I am quite experienced in how to survive Irish winters, and boy are they wet! But I believe that getting the most out of winter is about more than battling the elements. So I’ve put together a little mnemonic; hopefully it will be of use. S is for softshell and I mean on your legs. Get some waterproof breeches in your life if you haven’t already done so. I’m actually allergic to the cold (yes, It is a real thing and, yes, I know… great in my career, eh?) So it’s a must for me. 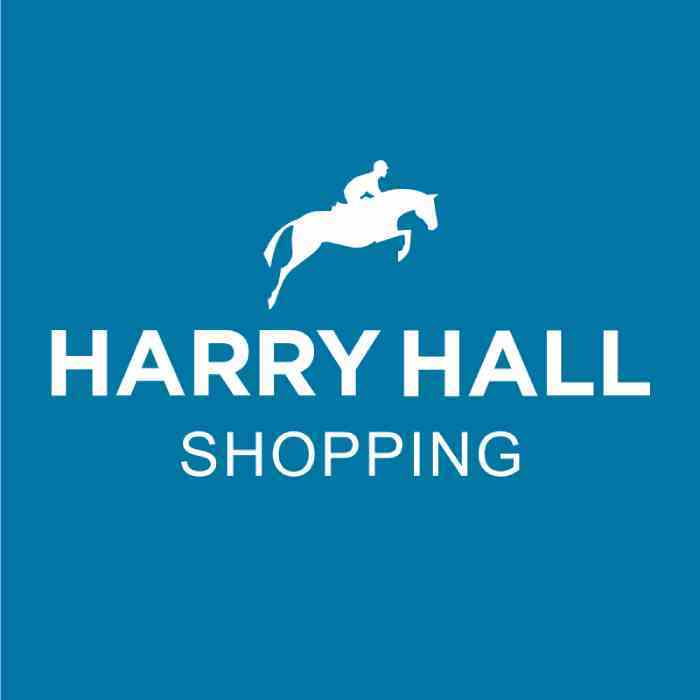 I am totally living in Harry Hall waterproof Highams, which recently won a glowing review in Horse & Rider magazine and were named the best value of all the soft-shell breeches they tested, so before next winter make sure you order some. But all joking aside, on average it rains 151 days a year here in Ireland and still I teach people who have a set of jodhpurs for each day and none of them waterproof or windproof. So my top tip is buy some! You will be a much happier, warmer rider. M is for management; mainly of time. My top tip is get all your work done as soon as you arrive in the yard. Have your stables done, nets filled, feeds made up (or soaking) and then ride or work your horse — that way if you do get a thorough soaking when you’re riding you can finish and while your horse dries off munching a “here’s one I prepared earlier” haynet, you can do any little finishing tasks and head home before you become frozen solid. I is for Involve. 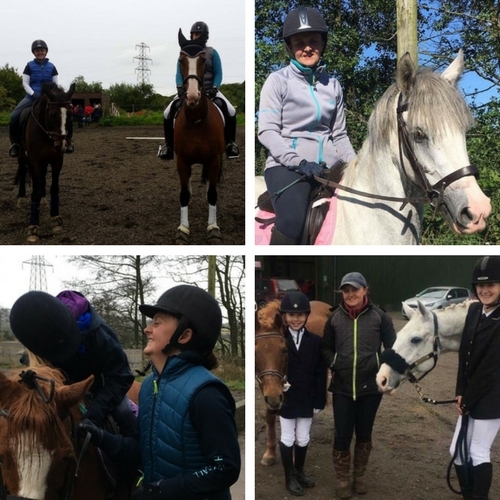 Get involved.. riding can be solitary, especially through the dark evenings of winter, so why not try joining your local riding club or volunteer or maybe sign up for that equine course you’ve always wanted to do? You never know where it might lead or the lovely new friends you could meet. I’ve met some of my best horsey friends on camps and courses. L is for laughter. Sometimes in the horse world we can take ourselves way to seriously. I know I’ve been guilty of this. Do you know what I’ve learned? Life is too short not to laugh with your horsey friends and laugh with them. Winter will seem shorter and your yard will seem warmer (even when it’s below freezing). I’m coaching a lot of people with confidence issues and I’ve found if I can make them giggle (quite often at my expense) a lot of tension disappears and horse and rider are immediately happier. E is for effective and efficient. So please don’t think for a minute that I’m saying that by simply smiling that winter isn’t hard or that problems won’t appear, of course they will. But ask yourself this: ‘What am I doing to fix them?’ Quite often the old adage of ‘a problem shared is a problem halved’ is true! Discuss it with your instructor/yard manager/vet/chiro/saddle fitter etc so that you are being effective in tackling the problem and then try and be efficient when solving it — follow the advice you have been given and hopefully the problem will disappear. If it doesn’t, you can at least rule out this option and try something new. What I am wearing. Aside from my Higham soft shells I’m making great use of my Velo baselayer top. Layers are totally the way forward in this weather.. they keep me warm and dry riding, coaching on site meetings and even sleighing in the snow.